Just over a year ago our first sparkling wine Kelliokee, was an instant hit! Lightly tropical with a jazzy sparkle, Kelliokee sold out in just a few months! We bottled more and in August, Kelliokee brought home the Gold Medal in the 2018 Atlantic Seaboard Wine Competition. How do we know when it's time to pick our grapes? The most important day of the year is the day we pick because it determines the kind of wine we’ll make from those grapes. MountainRose Wins at 2018 Atlantic Seaboard Competition! We are thrilled to announce that two of our latest products are recent award winners! Fans of our sparkling Traminette, Kelliokee, knew she was as good as gold, but now the Atlantic Seaboard Wine Association has confirmed it! Since her release in November, “Kelliokee” our sparkling white wine, has gathered quite a following! Not your typical champagne, prosecco or Moscato, Kelliokee has a dazzling fruit-forward nose and a sweet finish. We have had a tremendous response to our new Bear Creek Hard Cider! Saturday, June 30th we will celebrate Wise County’s first hard apple cider, and our farm life with “A Day in the Country”. MountainRose Vineyards is proud to introduce Bear Creek Hard Cider, a modern sparkling cider that tastes like the Honey Crisp apples from which it was made. Rumor has it that you and I may not have received our invitation to Harry and Megan’s Royal wedding. Right!? 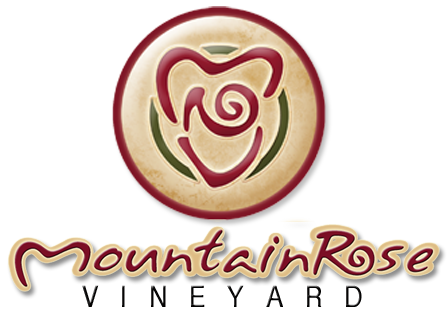 Just in case this is true, MountainRose Vineyards is here to help! Now Open 7 Days! Monday-Saturday Noon-6pm, Sundays 1-5pm! Many thanks to the 70+ people who joined us for tours, a variety of pancakes, maple syrup, cotton candy and other delicious maple treats in February at our Maple Syrup Fest! We boiled almost 1000 gallons of sap to get a little more than 12 gallons to sell in 8 and 16 oz. jugs. We’ve all heard that a glass of wine here and there is good for you, but how exactly does it contribute to your health? The ways seem almost endless. New studies appear to be constantly backing up the health benefits of drinking wine for moderate drinkers.